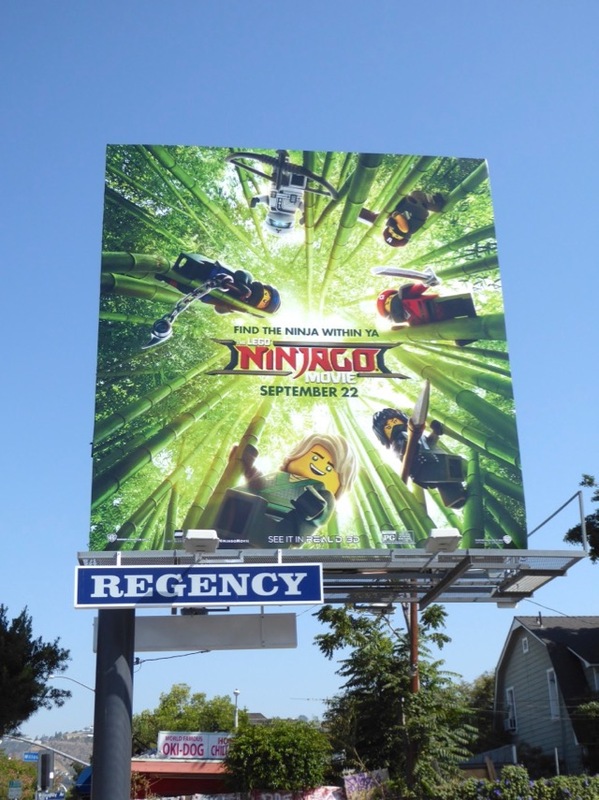 Today Warner Bros. Studios are getting out the plastic bricks from their cinematic toy box once again and unleashing another Lego-themed comedy offering on movie goers. 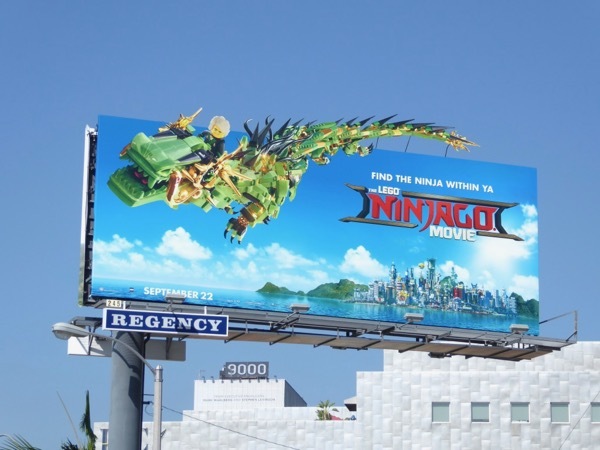 The Lego Ninjago Movie assembles a group of young ninja heroes to defend their island home, Ninjago, from the forces of evil (who also happens to be one of their dads, awkward). 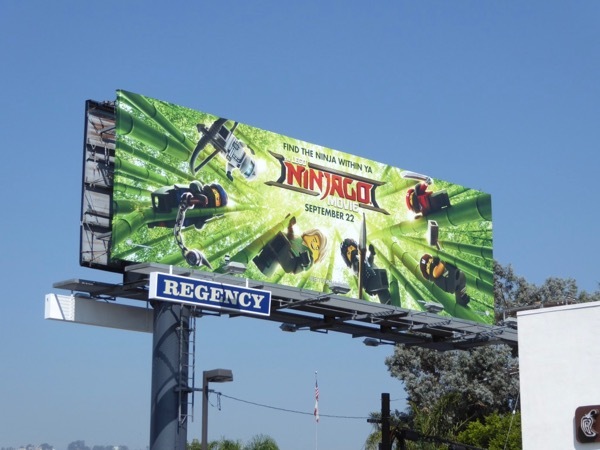 Can these gifted ninja warriors and their amazing fighting machines save the day, or will they all be blown to plastic bits? 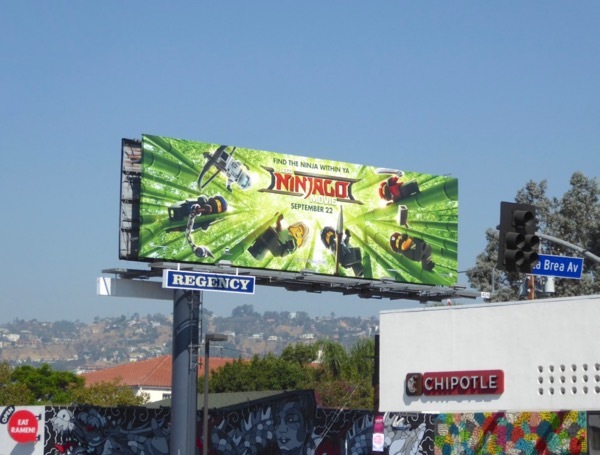 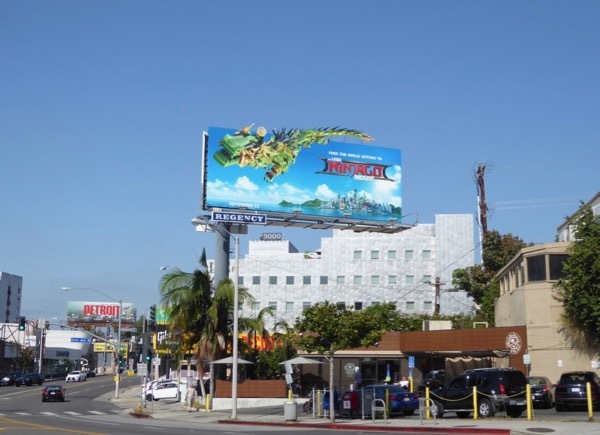 These fun movie billboards were photographed along the Sunset Strip, Fairfax Avenue, Cahuenga Boulevard and Melrose Avenue from August 19 to August 30, 2017. 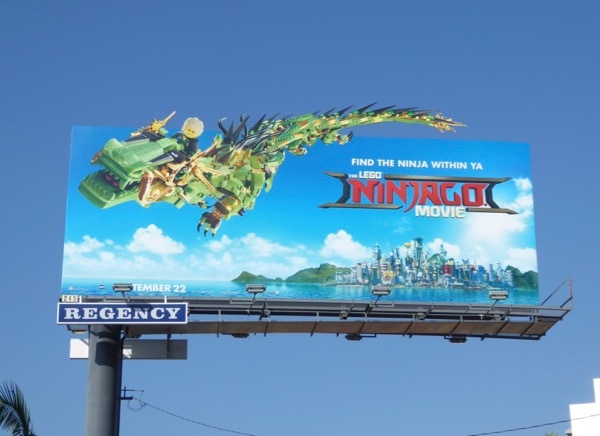 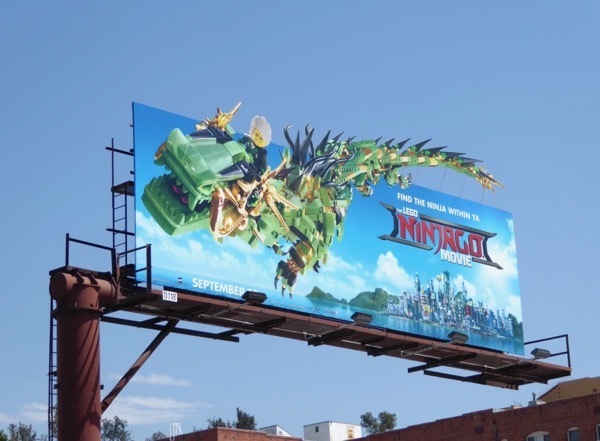 For more Lego-themed ad creatives, make sure you check out these billboards for The Lego Batman Movie and these billboards for The Lego Movie. This computer-animated movie sounds like a mashup between Power Rangers and The Lego Movie, so can this action-packed comedy win the box office this weekend up again the super spies of Kingsman: The Golden Circle, or will IT's evil clown continue to float at the top destroying all contenders.